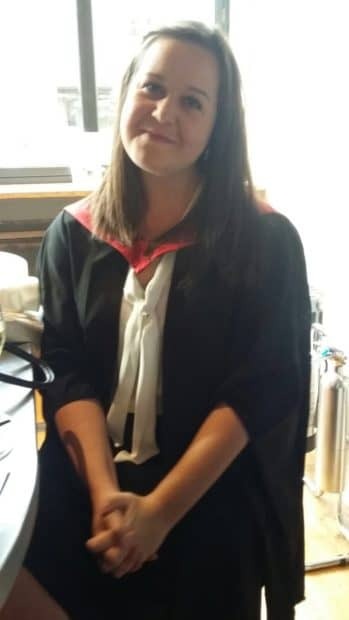 A Dundee accountant, who received a life-changing cancer diagnosis while pregnant with her son, has thanked her ‘incredibly generous’ colleagues for their year-long fundraising campaign. Paula McAllister, Senior Manager with EQ Chartered Accountants in Dundee and mum to one-year-old Rhys, was diagnosed with bowel cancer in August 2017, when she was seven and a half months pregnant. Since then, Paula has endured 16 rounds of chemotherapy and a major operation and is now on a break from treatment with regular monitoring, while also working part-time. 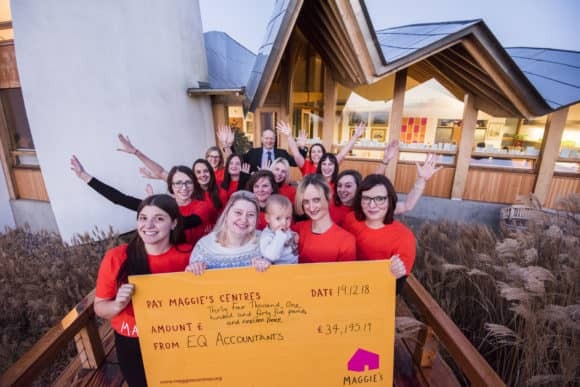 Paula and Rhys McAllister gathered with colleagues from EQ Chartered Accountants, Victoria Bongiorno from Maggie’s (front) and Nick Barclay, Maggie’s Board member and Partner, Thorntons Law LLP (back). Leading Scottish tax and business advisory specialists, EQ Accountants LLP have claimed over £16M of Research and Development tax credits for clients, ranging from a soft fruit grower and dental implants company to a manufacturer of bespoke automation systems tailored to a wide range of industries. 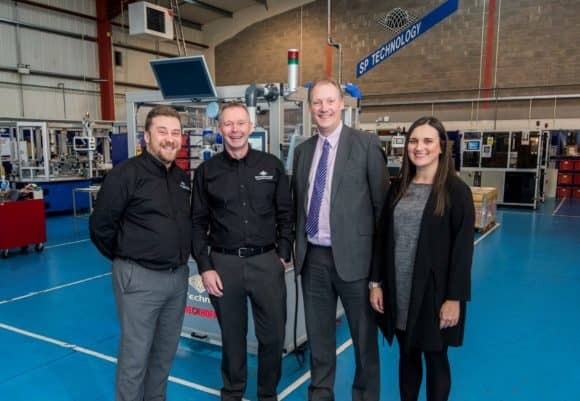 The firm, which has offices in Dundee, Forfar, Cupar and Glenrothes, has recently secured its 300th claim for R&D Tax credits which can potentially apply to any companies developing or creating new products, innovations or processes. L-R – Lee Nixon and Roy Henderson (Directors, SP Technology), David Morrison and Sandi Drummond (EQ). Credit – Alan Richardson, Pix-AR. One of the country’s leading experts on the agricultural effects of climate change will address next year’s ‘Farming Scotland Conference’. The event, now its 16th year, will once again be held at Carnoustie Hotel, Angus on Thursday 14 February 2019 and is sponsored by EQ Chartered Accountants, Bell Ingram, the Royal Bank of Scotland and Thorntons Solicitors. Time spent with your family, time off work, giving and receiving presents, lovely food and perhaps even some snow? If the current TV ads are anything to go by, Christmas is a truly wonderful time when we’re all laughing, smiling, enjoying each other’s company, eating beautifully cooked food, and opening piles and piles of amazing presents .. all, of course, as the snow falls. 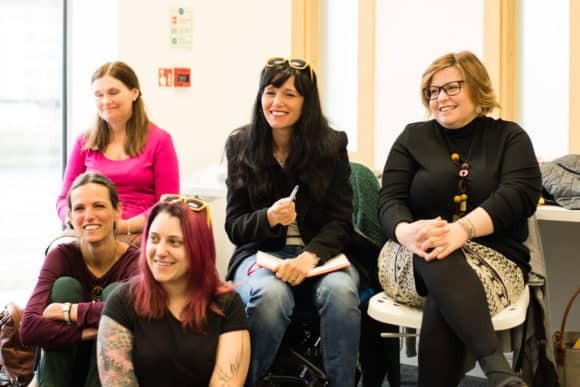 Even with all the money in the world, surrounded by family and friends, the festive period can be the loneliest, most isolating time of year – a time when the pressure cooker that is our ‘mental health’ can blow.